Designed for use when bandaging or cushioning the front and hind legs. 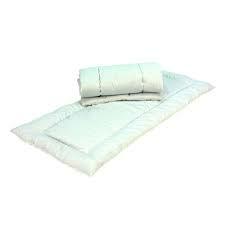 Ideal for helping to cushion legs after injury and protect from knocks and bumps in the stable or whilst travelling. Sold in pairs of either front or hind. Sold in pairs of either front or hind. There are currently no questions for Roma Leg Pillow Wraps - be the first to ask one!